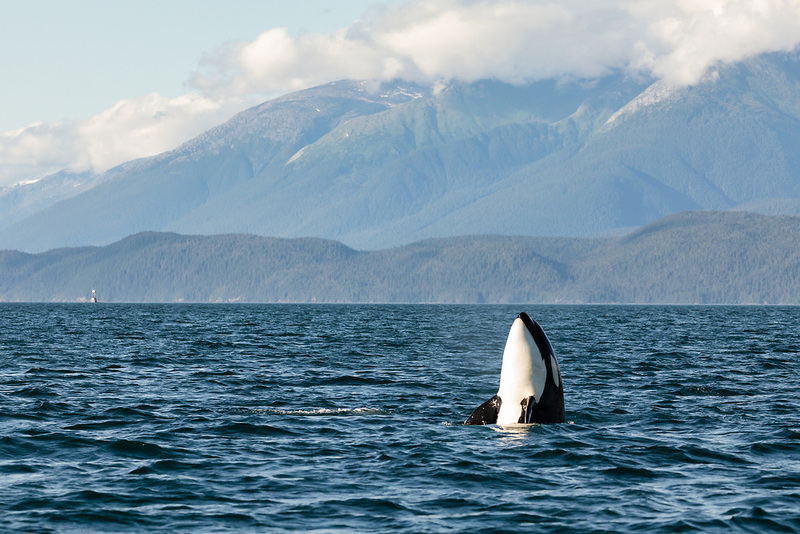 Orca (Orcinus orca) spy hopping boat in Favorite Channel in Southeast Alaska. Summer. Evening.